(Jan 1, 2018) – MobyMax, innovator of the nationally lauded personalized and blended learning curriculum for K-8 students, has received Homeschool Base’s 2018 award for Top 10 Educational Websites in the Multiple Subjects category. 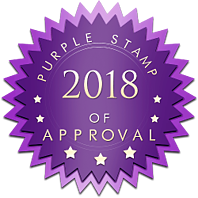 The award is conferred along with Homeschool Base’s Purple Stamp of Approval, a personal endorsement from Homeschool Base and the homeschooling community. 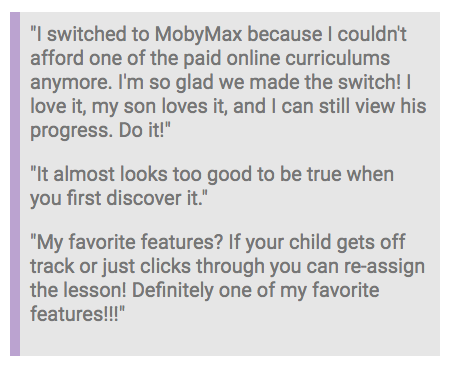 This includes independent home educators, teachers, and parents who recommended and nominated MobyMax. Homeschool Base is the internet’s largest volunteer-driven homeschooling website. MobyMax also received Education Software Review Awards in 2016 for Best Multi-Subject Website (Early and Upper Elementary), Best Multi-Level Website, and Best Teacher Tools. Co-founder Glynn Willett also noted that the company is continuing to roll out even more revolutionary product offerings in 2018. This expansion builds on MobyMax’s recognized strength in multiple categories. The company’s latest product, Pinpoint Assessments, allows teachers to drill down on discrete skills to get an instant snapshot of where students need support. “All our programs are designed to help us realize our inspiring vision: a new reality in which every child in every school in every country learns as fast as if they had the best teacher in the world sitting beside them,” Willett said. MobyMax finds and fixes learning gaps to help students increase one full grade level in just 40 hours. MobyMax’s comprehensive solution includes diagnostic testing, assessments, progress monitoring, IEPs, student response system, whiteboard activities, and student motivation prizes, badges, and games. For the 2016-2017 school year, MobyMax was used in more than 82% of all K-8 schools in the United States. Teachers have trusted MobyMax with more than 22 million students. Homeschool Base (homeschoolbase.com) is the internet's largest volunteer driven homeschooling website. It hosts an eclectic collection of homeschooling resources, news, information, and blogs. Homeschool Base’s intent is to be the middle ground between academia, breaking news, homeschool blogs, and homeschooling resource sites, where one can come and learn about all things homeschooling.